Do you know where your audience spends time online? Which Demographic Use Social Media? Yes, this is question every blogger asks because bloggers need follow the source where they get readers. Facebook, twitter, pinterest or instagram, you have to do research to get your audience to your blog. 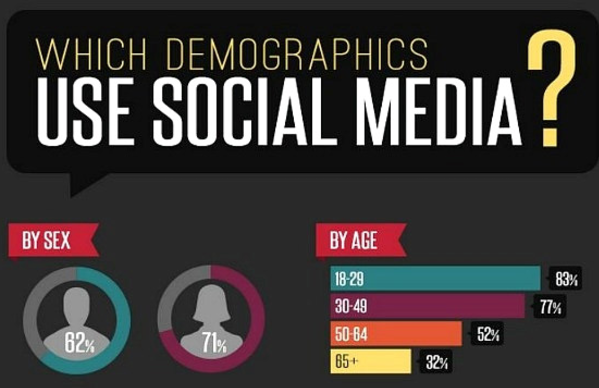 Check out the infographic for more on the demographics of social media user.